Swimming Pools, Wading Pools, & Spas - Section 1009 outlines approved methods of compliance to the 2010 regulations, and explains which methods are appropriate, depending upon the type, size, and use of the facility. 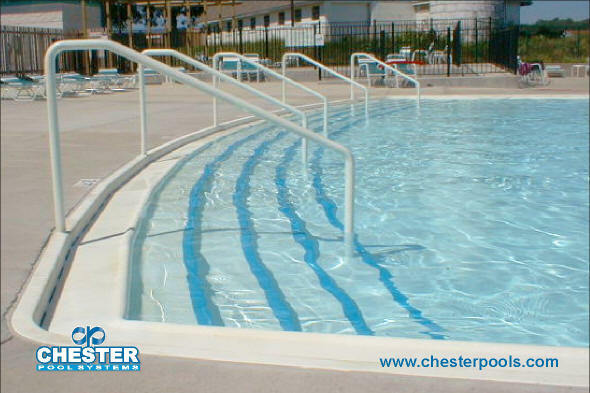 For larger swimming pools, more than one type of access may be required. Your Chester representative can assist with determining which method(s) of entry is best for your facility.